Veterans Today – Having found Crown Prince Mohammed bin Salman’s antics too costly for its already stained reputation, Saudi Arabia’s ruling family is looking to replace the young prince with his less ambitious brother, Khalid, a new report suggests. The report by the French paper Le Figaro on Thursday cited a diplomatic source in Paris as saying that the Saudi Allegiance Council had secretly met to discuss the disappearance of anti-Riyadh journalist Jamal Khashoggi, who is believed to have been killed at the Saudi consulate in Turkey’s Istanbul upon an order from MBS. Khashoggi entered the consulate on October 2 and has never been spotted since. Turkish and American intelligence reports say he was tortured and murdered before his dismembered body was sent back to Riyadh. The council, which appointed bin Salman as the new crown prince last year by breaking the customary rules of succession, is now planning to appoint Khalid bin Salman, the current Saudi envoy to the US, as deputy crown price. One Saudi source explained to Le Figaro that if Khalid was appointed, it would mean that MBS will leave his position in the coming years. This way power stays in the Salman family, the report added. According to the report, Khalid, who is popular both at home and abroad, would gradually take over from his brother and replace him down the road. Khalid, 28, flew to Riyadh last week, The New York Times reported Monday, adding he will not return to the US as the Saudi envoy. It is not yet clear who would replace KBS. 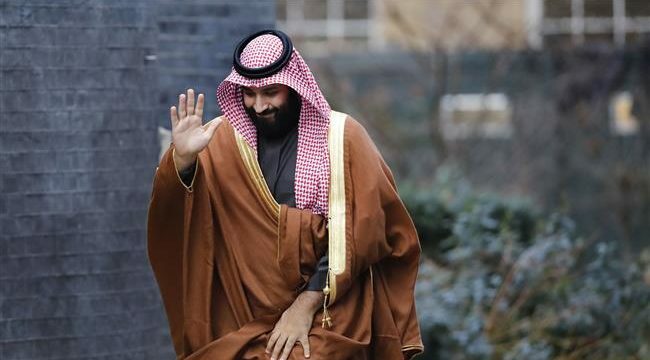 Le Figaro noted that MBS had already made himself big enemies in the Allegiance Council by breaking an agreement among first-class princes from various branches of the royal family to hand the power to the last king’s son. MBS has also created a great deal of animosity towards himself from inside the Al Saud family, many of whose members he has arrested as part of his crackdown on corruption. The Saudi National Guard, whose commander, Prince Mutaib bin Abdullah, was fired last year, is not so loyal to the crown prince either. The young prince also faces strong opposition at home for his bombing of Yemen, siege on Qatar and his closeness with Israel. In related news, one of the fifteen men accused by Turkey of participating in Khashoggi’s murder was killed earlier on Thursday in what Turkish media said was a “suspicious” car crash in Riyadh. Mashal Saad al-Bostani, a 31-year-old lieutenant in the Saudi Royal Air Forces, had been seen in consulate videos as part of the 15-member hit squad that allegedly murdered Khashoggi. Turkish Daily Hurryiet news site accused bin Salman of trying to destroy the evidence to cover up the murder of Khashoggi. Meanwhile, Prince Khalid bin Farhan Al Saud, who currently lives in exile in Germany, told Deutsche Welle in a fiery interview published Wednesday that bin Salman had indeed ordered Khashoggi’s murder. “It is well known that opposition voices who were kidnapped from Europe had their fates sealed by orders from the king. The more prominent dissidents were personally punished by order of the king. It is the king who gives the orders,” he said.